In a world where unlimited attention is given to our heroes, where we want to know what is going on in the lives of the public personalities we love, their children become unwitting victims of our attention. Even though the children may have done nothing worthy of the news, or may have chosen a less public path in life, the virtue of their surname makes them an everlasting topic for us to follow. Some love the attention, others despise it, while some have found a way to accept that this is their life – their punishment for being born to an extraordinary human being. There are plenty of celebrities whose children have a place in our ever-growing spotlight, one of them is Brittany Favre. She is the daughter of the famous American football player, Brett Favre. Brittany Favre might not be famous for her ability to throw a leather skin in front of thousands of people, but she is successful in her own right as a lawyer. 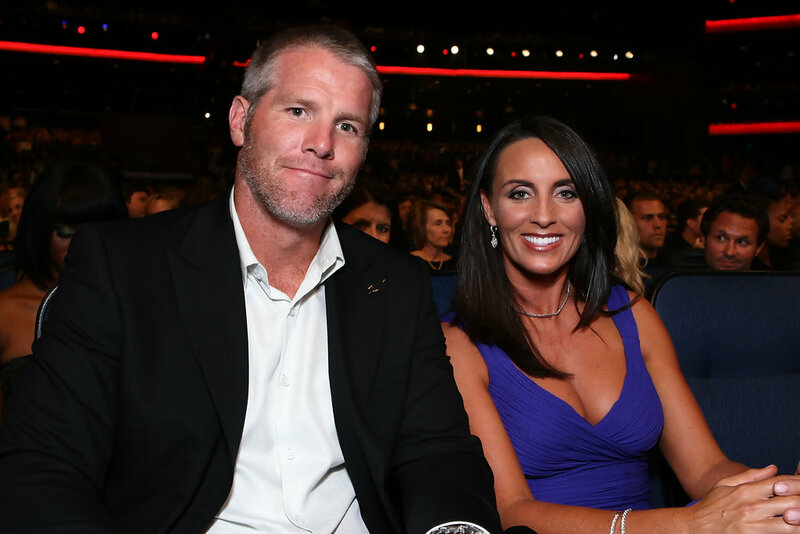 The daughter of Brett Favre and Deanna Tynes Favre was born on the 6th of February in 1989. She’s the older of two daughters born to the celebrity couple. She was conceived while her mother was still in college and was born/raised in Mississippi. Brittany attended Loyola University College of Law and graduated in 2015. Since then, she has been a practicing lawyer. As mentioned earlier, Brittany is the daughter of Brett Favre, the American Football legend. Her father is a former quarterback who spent 20 years in the NFL. He played mostly for the Green Bay Packers. He also played for the New York Jets, Minnesota Vikings, and Atlanta Falcons. Brett Favre is Mississippi born and he attended college in the state too. His legendary status began to manifest from his college days when he set so many school records and was later selected by the Atlanta Falcons. After one season at the Falcons, Brett was traded to the Packers. At the Packers, he spent 16 seasons and set the record for the highest number of consecutive starts in a regular season at 297 and 321 with the playoffs. He has 11 Pro Bowl invitations and won the yearly Associated Press NFL MVP award three consecutive times, as the only player to ever record the feat. During his career, he won eight division championships, five NFC Championship games and appeared in two Super Bowl finals, winning the first one against the New England Patriots. Before her father retired, he held multiple records in the NFL such as the most pass yards, passing touchdowns and quarterback wins, most career pass attempts and most career interceptions. While he still holds some of these records, a few of them have been broken by Tom Brady and Peyton Manning. He’s a Pro Football Hall of Famer. Her mother, Deanna Favre attended the University of Southern Mississippi and graduated with a degree in exercise science. She has been in a relationship with Brett Favre since high school. At the age of 35, she was diagnosed with breast cancer. Her fight against the disease inspired her to establish a foundation, The Deanna Favre Hope Foundation focused on breast cancer awareness and diagnosis services for women, regardless of their economic might. Deanna Favre is also an author. She has published two books, Don’t Bet Against Me and The Cure of the Chronic Life: Overcoming the Hopelessness That Holds You Back. Although Brittany’s parents had a rough beginning to their relationship, they have remained together ever since they started dating. They got married in 1996. Brittany also has a younger sister, Breleigh Favre who was born on the 13th of July, 1999. Like her mother, Brittany also had a child in college. She was in a college relationship with a man named Parker Brett and the two share a son that was born on 2nd of April, 2010, however, the couple never got married. The following year after the birth of her son, she got married to Patrick Valkenburg in 2011 and according to IMDb, Brittany is divorced from Patrick Valkenburg and she’s currently in a relationship with Alex Mallion. The details and specifics of her present relationship are currently unknown.